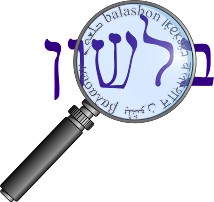 Collection of articles on Hebrew Etymology, almost all written in 1958. Professor E. Y. Kutscher was aProfessor of Hebrew Philology at the Hebrew University of Jerusalem, and a member of the Hebrew Language Academy. An article of his in English can be found here.